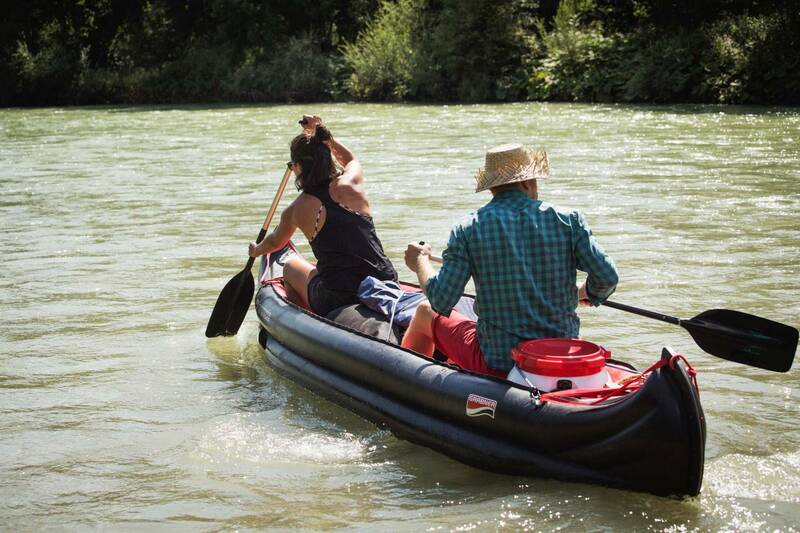 There’s no better way to get to know the river that runs through Munich than from a canoe. 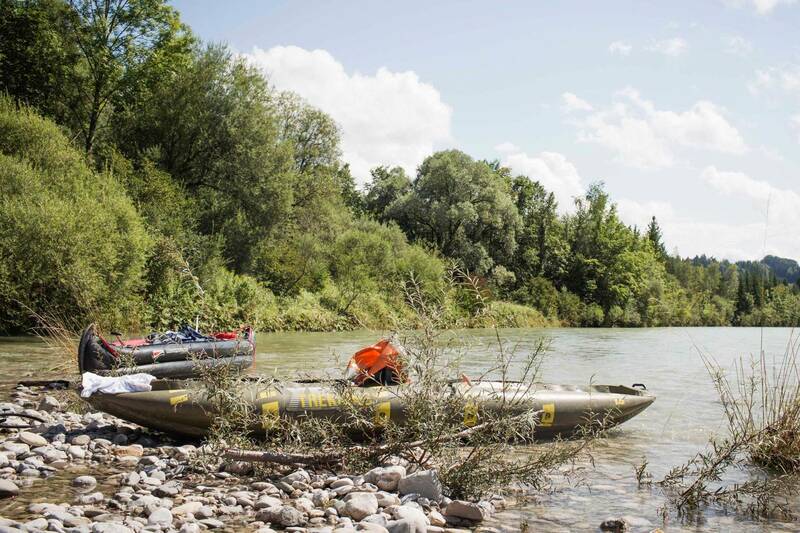 The traditional canoeing route leads from Bad Tölz to the landing spot – taking in some bathing fun, a picnic on the gravel bank and some river-chilled drinks along the way. Sometimes, there is peace in movement. One moment, the water is rushing past you, continually forming new waves and whirls that rise, turn and disappear again within a fraction of a second. And the next moment it is you yourself rushing forward on the river; all at once, it is the bank that moves past, an ever-changing backdrop. Then, as the water suddenly calms, your thoughts, too, become quieter. First illuminated in your consciousness from all directions, and the next moment submerged in the mental horizon, they begin to circle, return, twist and turn again. Others seek it in yoga classes; I find it on a canoeing trip. 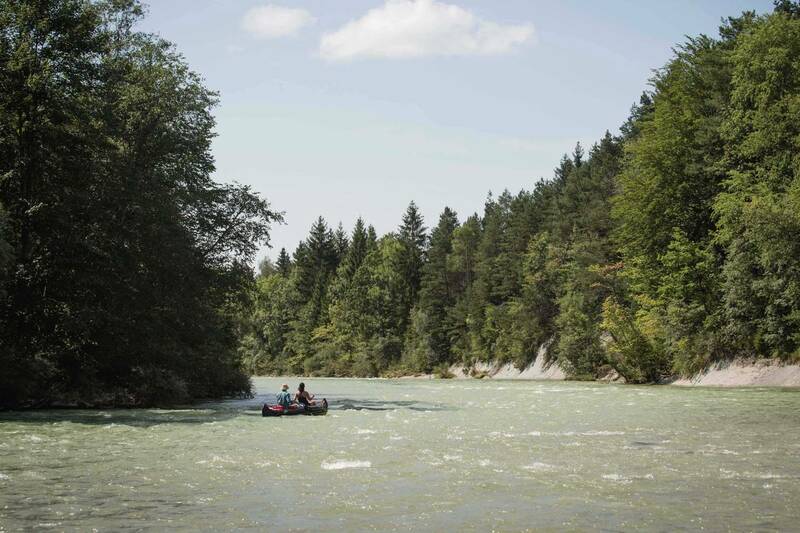 The largely free-flowing Isar is one of Europe’s most beautiful compact river trekking routes, leading from the foothills of the Alps directly to Munich. And as a Munich local, I don’t need to travel far. 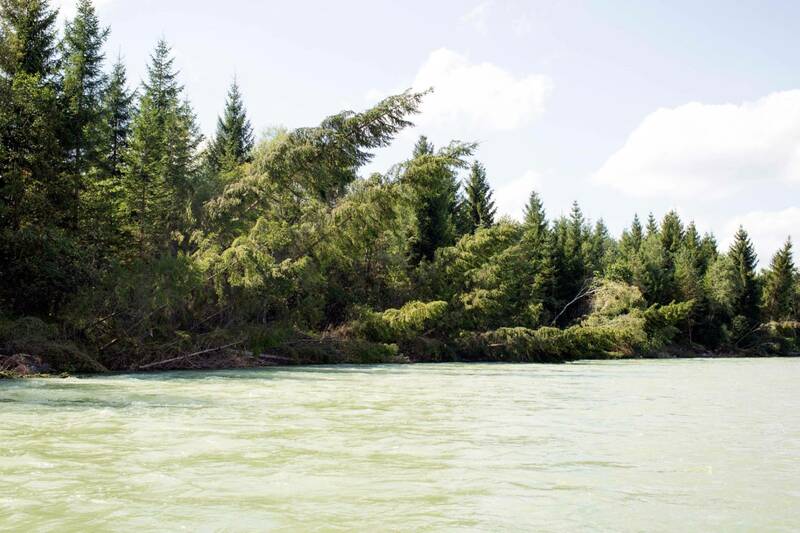 Bends with deflecting walls against which the current breaks, meandering tributaries, shimmering mountain water – everything you might expect from an adventure in the Canadian wilderness can actually be found within day-tripping distance of the Hofbräuhaus and the TV tower. 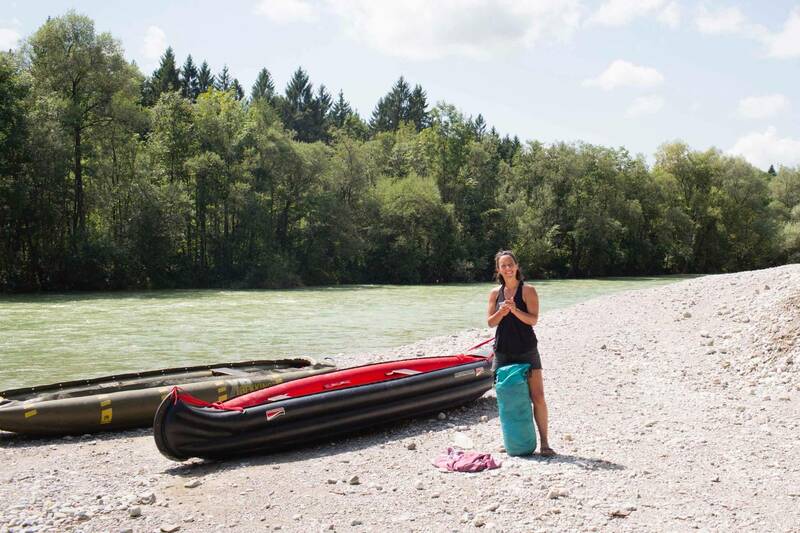 The largely free-flowing Isar is one of Europe’s most beautiful compact river trekking routes, leading from the foothills of the Alps directly to Munich. 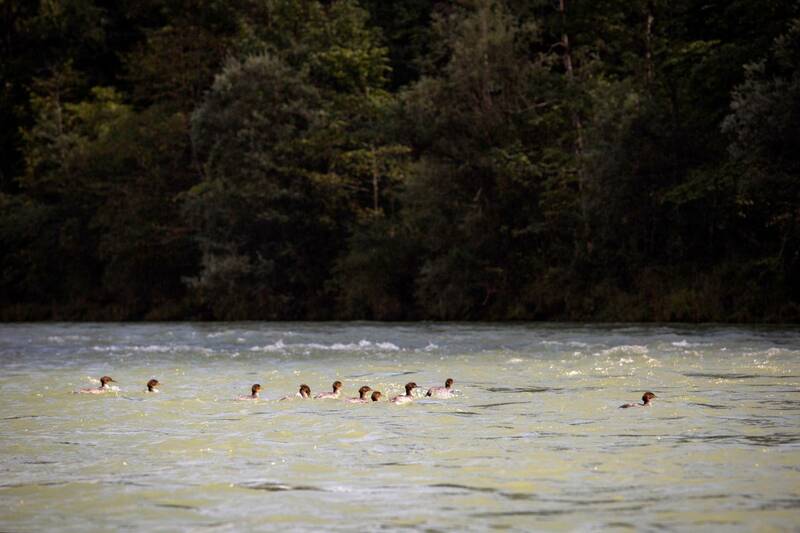 Anyone who canoes the long stretch from the Sylvenstein Dam or Bad Tölz – or even the shorter route from Wolfratshausen – will experience primal fluvial nature, with wild waterfowl and clumps of driftwood, but also crystal-clear bathing places for immediate refreshment in summer. 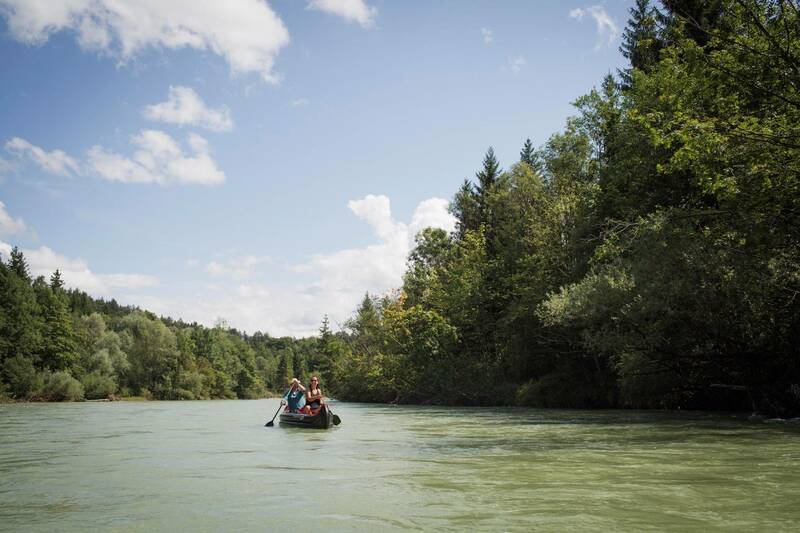 Ulrike, a colleague of mine who last sat in a paddleboat in her youth, was recently inspired to do a trip on the Isar. Frank, the photographer, is also very keen. We sort out our kit on the sun-warmed gravel of the bank at our entry point. The river swirls past us. Although it is only supposed to be a simple summer trip, our equipment makes it look as though we are embarking on an expedition into the wilderness: two sturdy inflatable canoes (though one of them already looks a little worn), paddles and spare paddles, a buoy and two watertight bags for our hand towels, a change of clothes, camping equipment, a little gas cooker, a cooking grid, supplies, the air pump and a boat trolley so that we can manage more easily when carrying the canoe and on the way back to the S-Bahn. We can’t get enough of this day. And so we decide to press on further through the expansive, meandering river landscape. The Isar rises on the Tyrolean side of the Karwendel mountain range. The gorges of the Hinterau valley are reserved for experienced white water rafters. After that, the young Isar passes Scharnitz and Mittenwald and flows behind Scharnitz through an unspoilt landscape, known as Little Canada because of its seclusion and originality. However, this section is not suitable for canoeists of all skill levels and is most suitable as a day trip in its own right. 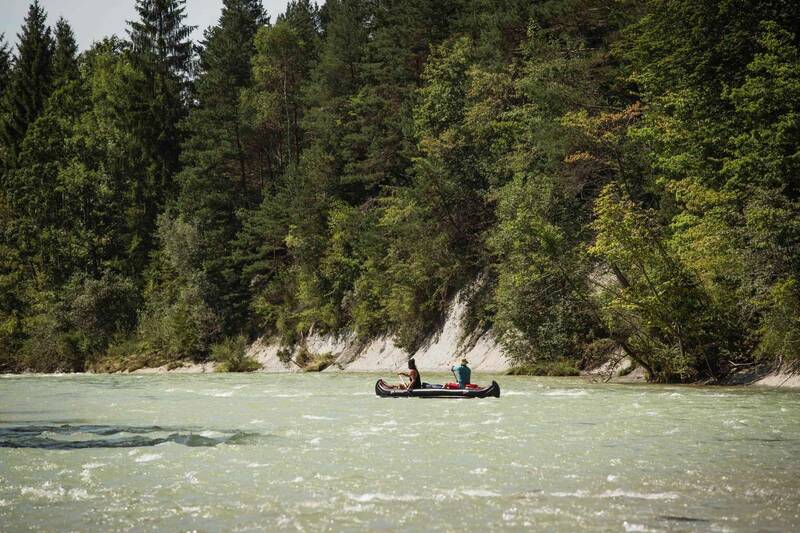 The mountain river is tamed in the Sylvenstein Dam, but beyond the Sylvenstein wall begins a stretch that brings paddlers through Lenggries and Bad Tölz, then through Wolfratshausen and on to Munich with few stops along the way. Here, the water level is more constant, but this section is still very natural and looks like a perfect hiking river, with a few river bottom ramps, surges or sharp curves – apart from a few land transports, these would not be rated higher than Class II in normal waters. We have opted for the traditional entry a short distance downriver from Bad Tölz, after the little dam and the power station at the end of it. 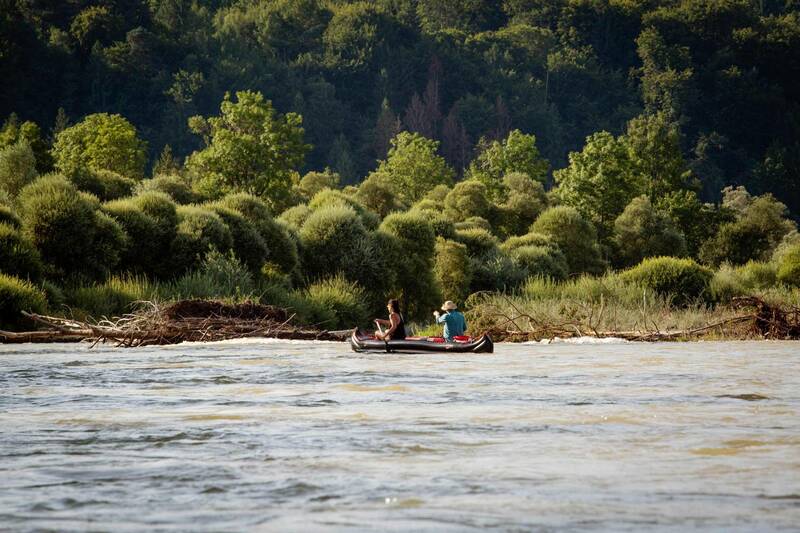 This marks the beginning of the longest continuous canoeing trail on the Isar. If we are very quick, we could get all the way to Munich in one go. 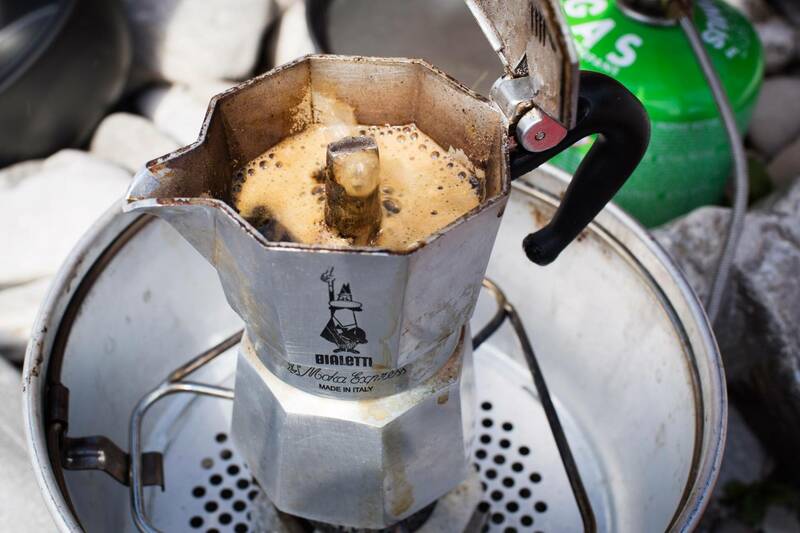 However, there are also campsites near the Isar – or multiple other options if you wish to break your journey at an earlier stage. “Ulrike, are you ready?” “Yes, of course. Are you?” We turn the fully loaded canoe against the powerful current. Ulrike jumps onto the front bench while I keep the boat steady by holding the paddle across it, climb in carefully and push us off. Canoeing is easy: the person in the back steers, while the one in front is mainly responsible for making sure you move forward. But when a river flows as valiantly as the Isar does this August day, you can also simply allow yourself to be propelled along broad stretches of it. 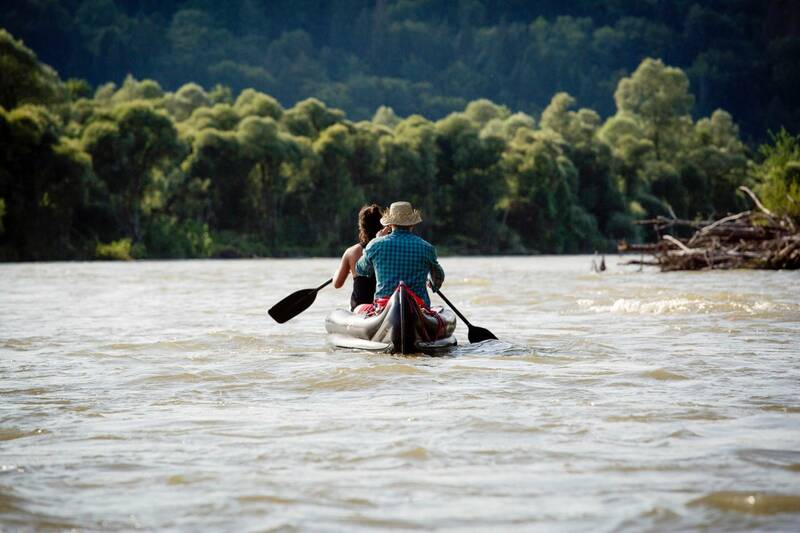 In fact, all you really need to do in terms of manoeuvring are occasional corrections to your course and a few fast-paced metres in one river bend or another to gain a little distance from the trees on the bank or an obstacle submerged in the water. Those simply wishing to drift downriver in a standard inflatable dinghy can do so almost all summer through at “normal” level. 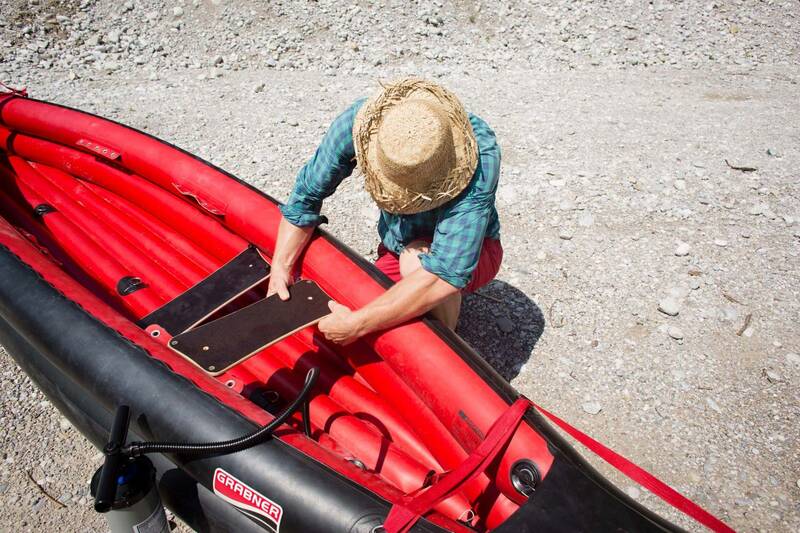 The more energetic canoeist looks forward to a slightly elevated water level, which gives the river more strength and more depth at the important points, speeding up the entire trip. We have been waiting for the perfect conditions for a few weeks – and now, in mid-August, everything is finally just right. Sunny – not too hot, not too cold – and with the water level dropping in the wake of a summer flood, though still well above average at 175 centimetres at the measuring point in Munich. These conditions mean that considerably more water is flowing during our trip than is usually the case. The current pulls at a decent strength from the outset. The flat banks mark the fringes of mixed woodlands, and every so often, the Isar flows around a gravel island. We paddle through the Leitzinger Au nature reserve, where the areas around the river banks are home to a number of seriously endangered birds such as the common tern and the sandpiper – which is why it is so important to observe the ban on landing in the designated areas from spring to mid-August. In any case, you will not necessarily want to step onto every island, and every piece of forest: the perspective from this point of peaceful motion is too special, transforming the world into a kind of widescreen, live nature documentary, recorded from the worm’s-eye point of view of the canoeist. Here, you can go for kilometres without encountering any human settlements. After about ten kilometres, we pass the Beham campsite country inn in Einöd, which offers simple camping options directly beside the river. However, we are not even close to thinking about our overnight plans yet. 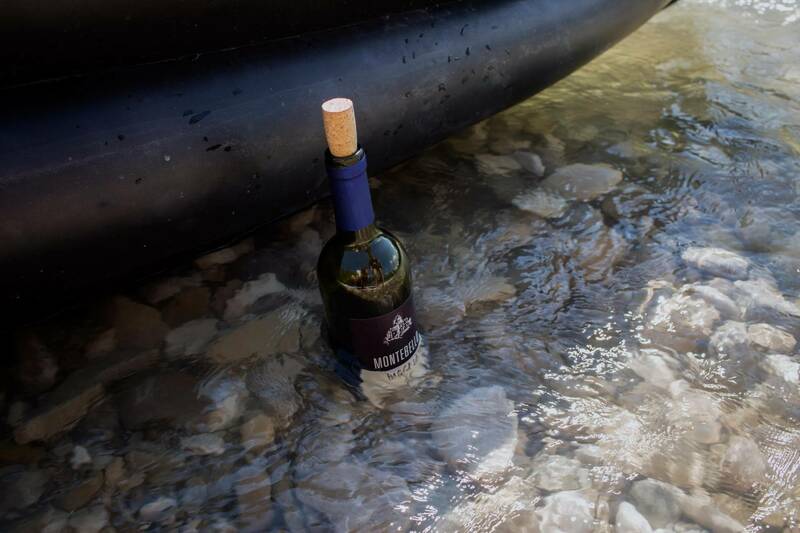 Instead, we moor our boat on a sunny gravel bank in the Ascholding floodplains for lunch, a drop of wine and a little coffee. 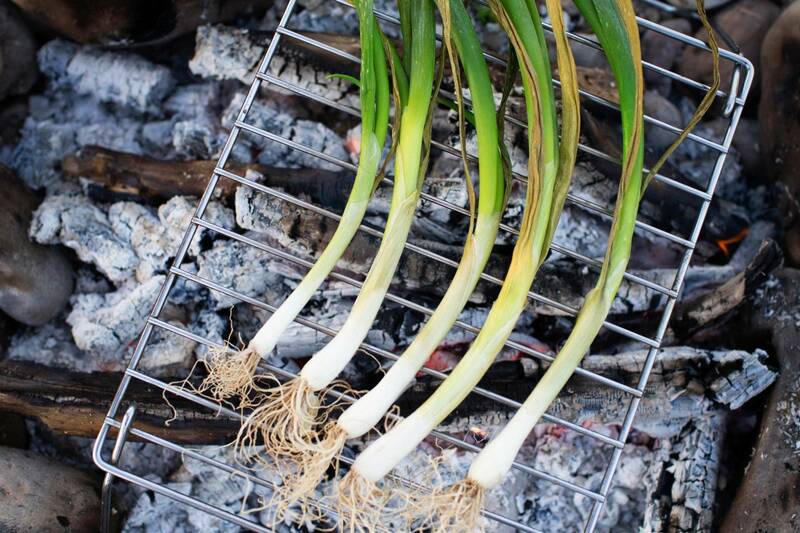 When it comes to provisions for the day, sandwiches are a good choice – or anything that does not require a lot of preparation, since barbecuing and lighting fires is prohibited here in the floodplains of the Isar, as far as Schäftlarn. A change of perspective: now again, it is the water that gurgles past; the main current moves past in an s-shape, a constant flow in the river, moving quickly and yet seeming to be at a tranquil standstill. A quick dip soon perks us up for the next leg. A few more moments in the sun and we pack up our things again. After a few bends, some additional water flows into the Isar on the higher ground at Wolfratshausen: the Loisach-Isar canal. We travel across the entry point and into the eddy. After a sharp bend to the left with a deflecting wall, we soon see the road bridge between Wolfratshausen and Puppling, the traditional exit point for the short day trips. “Further?” “Definitely!” Today we are like the family of ducks we keep seeing struggling against the current in an eddy after a boulder, or an inlet in the shore. We can’t get enough of this day. And so we decide to press on further through the expansive, meandering river landscape. Will we make it to Munich? Today? It doesn’t matter. In any case, it is the river that sets the pace. The course changes year on year, flood on flood. We see people lying in various states of undress, relaxing in hammocks with a view of the river. They are the spiritual mothers and fathers of the naked, suntanned frequenters of the Flauchersteg. If Flaucher is Munich’s home of sunbathers and picnickers, Pupplinger Au is classified as nature reserve and offers great routes for fans of cycling and inline skating. Could you feel any further from a city that is home to over a million people? Crazy. The high water level adds huge variety to the zig-zagging course between tiny islands and fallen trees, around bends under high banks and past mushrooms that spring up suddenly in the current. At the same time, the west bank rises gradually to the height that will shape the remaining stretches until we reach Munich. With high wooded banks on both sides, the untamed trail of the Isar is becoming an increasingly broad, wild canyon – interspersed with ever more bridges, speckled with beer gardens, and soon also with a growing number of Munich residents who have cycled from the city into the wild south to seek out a secluded spot on the bank. The backdrop is spectacular, but the real charm lies in the peace, in that curious change of perspective that sets in when you suddenly pass the world by with the water, and no longer sit on the wall, looking at the gurgling water as it rushes by. Of course, the rapids and occasional sporting challenges that increase with the water level of the Isar, also have their charms. We will be happy if we can manoeuvre half-elegantly past the challenges the river presents to us again and again. However, the most memorable moments are still those in which you don’t need to do a thing, those moments in which you can follow a thought that is circling in your head without interruption. Or not – it seems that it is easier to do nothing, or at least that it is easier to enjoy doing nothing when you believe that you are doing something nevertheless. Small corrections to your course, for example, or simply a quick, attentive look, or the special gurgle of a submerged stone on the left ahead, or any special gurgling sound at all. Will we make it to Munich? Today? It doesn’t matter. In any case, it is the river that sets the pace. The main thing is that we reach Schäftlarn while it is still light. There, near the convent and a number of beer gardens, is one of the few gravel banks on which barbecuing and even small campfires are permitted. 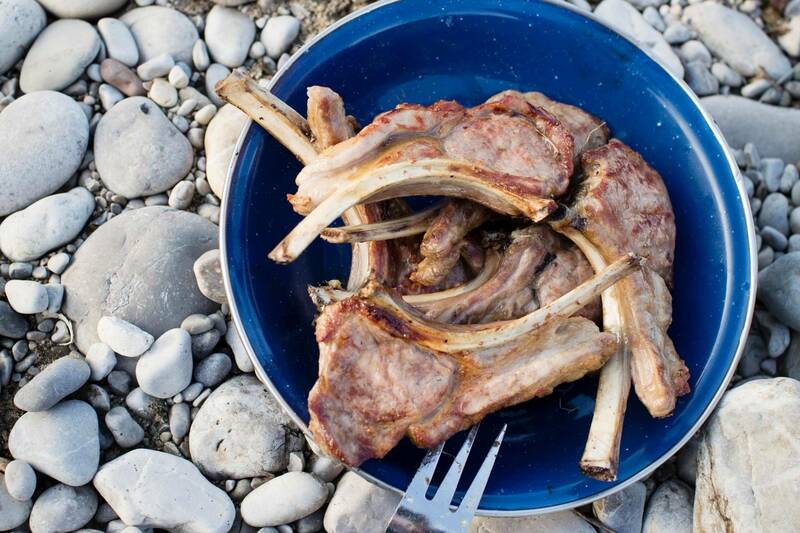 What better way to close a meditative day on the river?